You're suave, you're smooth. You're the man who wants to win it all. The easy way out doesn't appeal to you, it's the thrill of the chase that you're looking for. Your ambition is your armour as well as your soul - It drives you towards the scent of success and attracts the world towards you. 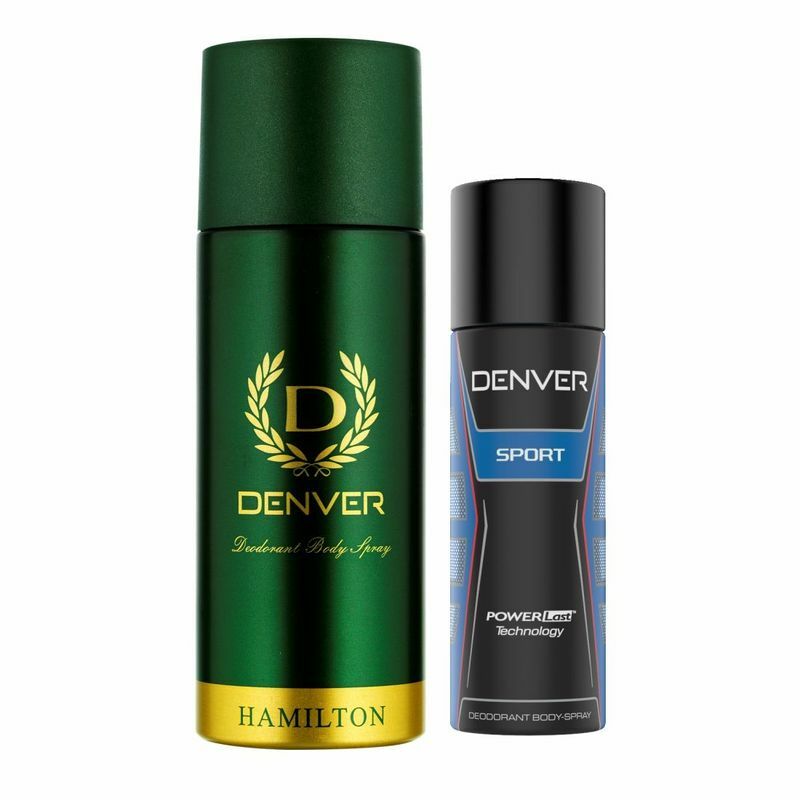 Now with the Denver Hamilton Deodorant and Denver Sports Nano Deodorant feel the mix of both extremes in you that women find irresistible. Now with the Denver Sports Nano Deodorant feel the mix of both extremes in you that women find irresistible. The Denver Sports Neo Deodorant is designed for the man who is a go-getter in every field you step in. For him, life isn't complete without its achievements. He is competitive and driven in every sphere of life. About the Brand: Vanesa Care Private Limited Group is one of the leading manufacturer of aerosol deodorants in India and manufactures product in various categories like OTC, Pharma, Deodorants, Perfumes, Toiletries and home care division. Conforming with international standards, the company is known for its deodorants and fragrances that cater to the style and taste of Indian consumers and are manufactured under known brand names like Denver (for men), Envy 1000 (for men and women) and Vanesa (for women). Explore the entire range of Deodorants/Roll-ons available on Nykaa. Shop more Denver products here.You can browse through the complete world of Denver Deodorants/Roll-ons .